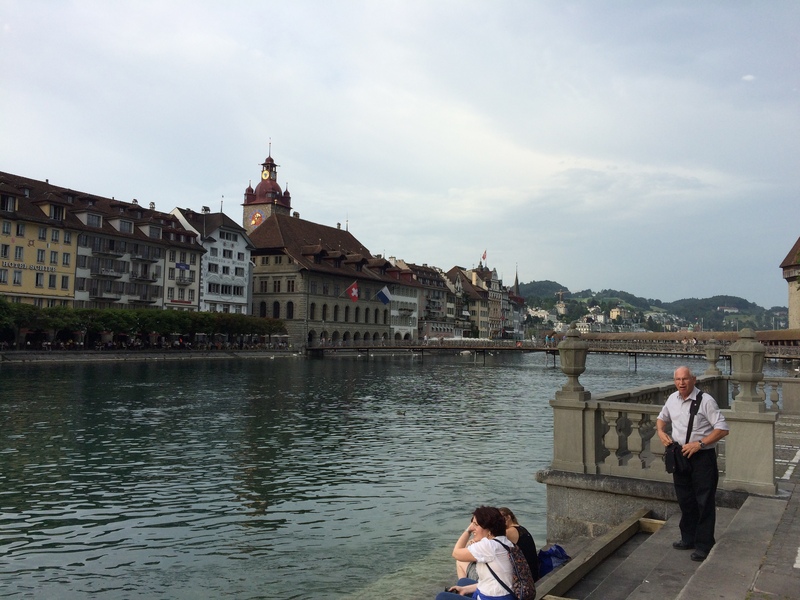 The wine scene is Lucerne, Switzerland (LINK) is varied, diverse, and generally speaking, fairly expensive. We recently spent a few days visiting this postcard-worthy city and visited a number of restaurants and wine shops. Let’s begin with Opus (LINK), a wine-themed restaurant along the riverfront next to the huge Jesuit Church. We sat outdoors, where there were seats for a couple of hundred guests. The menu is Swiss and Italian with a fairly extensive wine list that is international in scope. 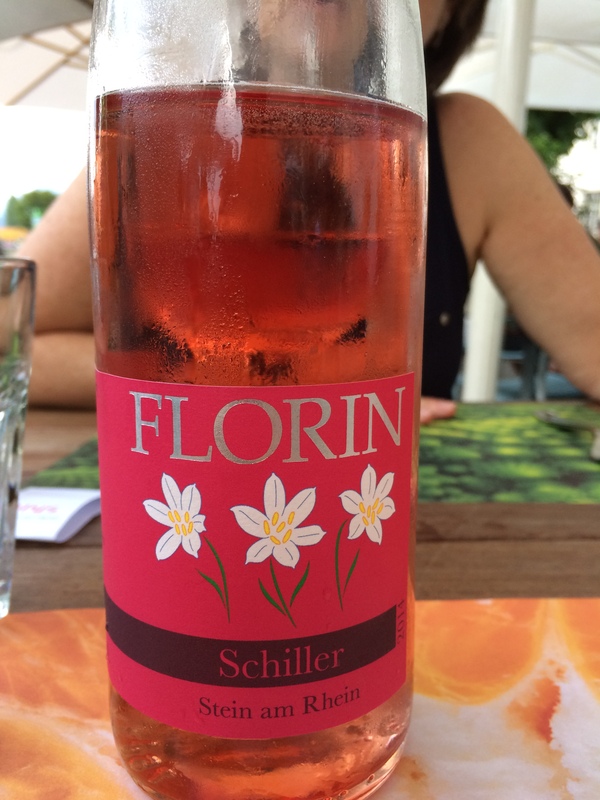 We opted for a bottle of Swiss Rosé to go with our dinner selection, the antipasto bar, which had a nice selection of salads, meats, and vegetables. The wines here are priced for on and off-site consumption, and there were some good bargains on the list, like an Amarone for under 30 Swiss Francs (about par with the US dollar when we visited). Opus was very enjoyable and we sent some friends there on ensuing evenings. 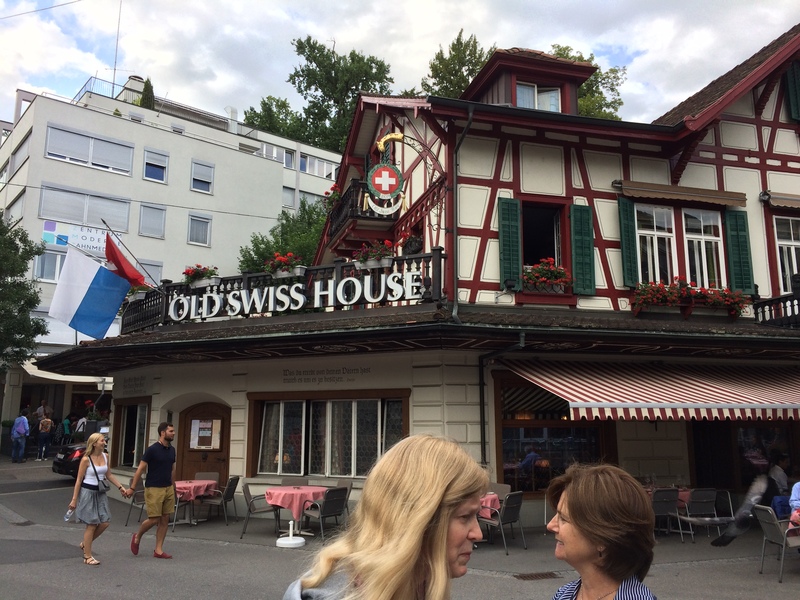 Another end of the spectrum is The Old Swiss House Restaurant (LINK), a revered tourist restaurant near the famous Lion Sculpture in Lucerne (LINK), just a couple of blocks off of the lake. Six of us tried to get a table one evening after visiting the sculpture and were told that they were full and referred to another very nice restaurant. So we made a reservation for the next night on the spot. So don’t go here for dinner without a reservation. The building is historic and very picturesque, inside and out. The service is formal and competent. Eating here is like going back in time to a more formal era. There is a specials menu and a regular menu. Entrees run 40 to 55 Swiss Francs; appetizers from 14 to 25 Swiss francs – $$$$ level. The wine list is deep, rich, and amazingly varied (and a bit disorganized). Along with the local wines of Switzerland, they have a wonderful selection of the finest French Burgundies and Bordeauxs (with about 15 Chateau Mouton-Rothchild First Growths on the list), plus some great Italians and even an Australian Penfold’s Grange (1996). These high-end wines are very reasonably priced, mostly at or below what I have seen them at retail, but still hundreds or thousands of Swiss francs per bottle. 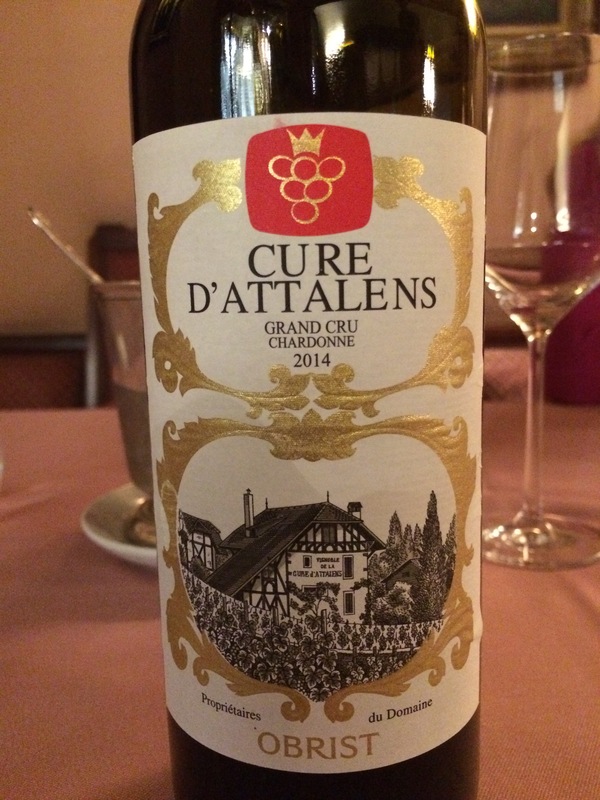 We opted for a Swiss Chardonnay that complimented my lobster over pasta dish perfectly – light, high in acidity, with notes of pear and grass on the nose, and almost no oak. Restaurant Lapin (LINK) is a French/Swiss place with excellent service and a warm atmosphere. It is family run (the same family that runs the small hotel of which the restaurant is a part). The wine list is Swiss and French, with some nice selections, but not very adventurous. We opted for an old friend, a 2010 La Haute-Smith Burgundy Red Blend (LINK). We visited the chateau in Pessac-Leognan (LINK) in 2013 and enjoyed their wines very much. This one did not disappoint – the Merlot/Cabernet blend was rich, lively, and laced with dark fruit. Very nice. The Globus Department Store’s basement is a gourmet food and wine market that is simply amazing. The wine department has a very good selection of wines and spirits, with an emphasis on Swiss and Italian wines, but with selections from all over Europe. There were wines for tasting as well, and Dorianne and I tasted nice wines from Portugal and Spain, and bought a bottle of the excellent Spanish tinto from Ribero del Duoro for our upcoming Rhine River cruise. 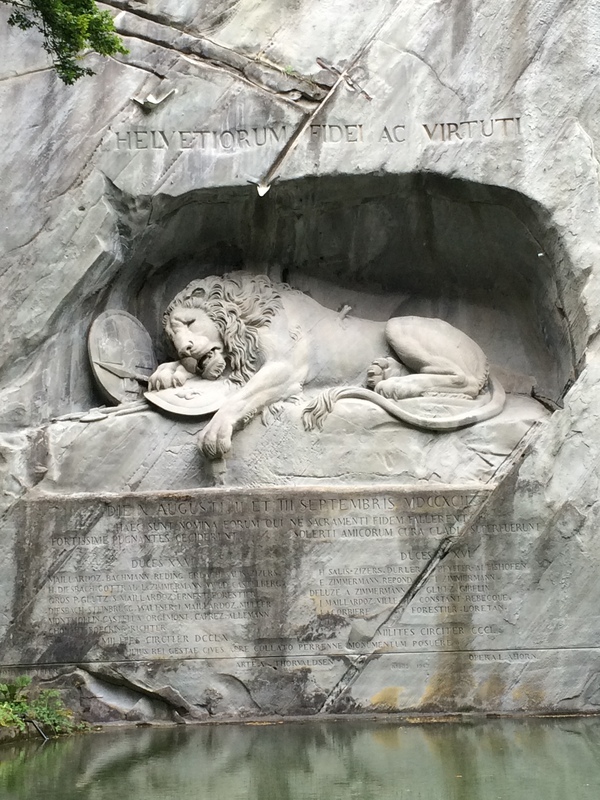 I am sure that we just scratched the surface of the wine scene in beautiful Lucerne during our three-night visit. As a wine lover, it is a good place to visit. I’m really enjoying your excellent writing and the photo-trInsic way you experience travel. It engages my own love of the sights and tastes of life. Looks like you’re having fun! I look forward to reconnecting after the 25th.